ES Robbins 46x60 Rectangle Chair Mat, Multi-Task Series AnchorBar for Carpet up to 3/8"
ES Robbins 36 x 44 Rectangle Chair Mat, Task Series AnchorBar for Carpet up to 1/8"
ES Robbins 46 x 60 Rectangle Chair Mat, Task Series AnchorBar for Carpet up to 1/4"
ES Robbins 36x48 Lip Chair Mat, Performance Series AnchorBar for Carpet up to 1"
Protect your floors from damage from chair casters while allowing smooth mobility, even on carpets. 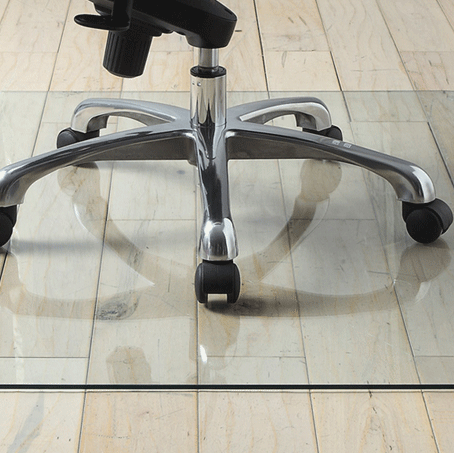 A chair mat is made of PVC, vinyl or bamboo and is designed to work with your type of floor. 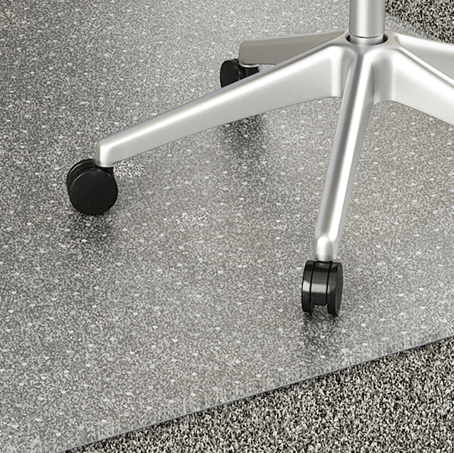 Mats are designed for hard floors or carpets with both thin and thick padding, with carpet chairmats studded for stability. 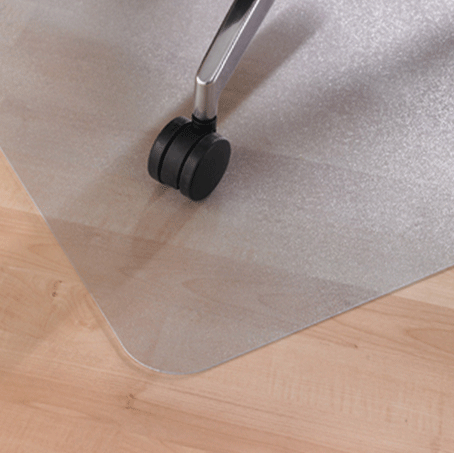 Other features, including size, lip and bevel, are meant to work with the shape of your workspace. Popular brands include Deflect-o, E.S. Robbins and Floortex.